The information on this page was provided by Maryland Trade Ambassador Hon. Philip Kapneck. The Department helps grow Maryland's industry, extending the State's presence and demonstrating Maryland's commitment to attracting foreign business. Solid reasons to start your business in Maryland. 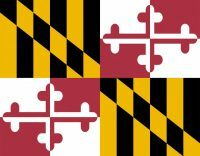 Note: This is the official website for Maryland Trade Ambassador Philip Kapneck, presented by the State of Maryland, created to assist him in promoting business in the State of Maryland, to help businesses get started and to increase employment in the State. The State of Maryland has compiled and used news articles from the internet and business news.